One step transformative treatment helps erase the signs of time leaving skin with a luxurious glow. Ultra-fine Aluminum Oxide Crystals instantly refine, polish and smooth the surface of your skin, polishing it to perfection. Use 1-2 times per week as needed. 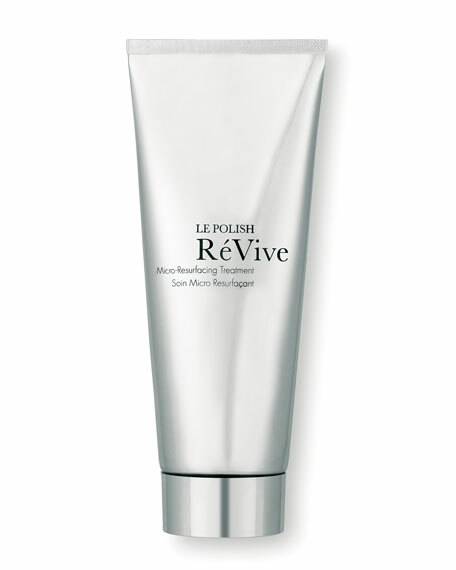 Since skin is being resurfaced, it is recommended to use a ReVive moisturizer with SPF after treatments, if exfoliating during the day. Without sunscreen use after treatment, sun exposure can negatively impact the desired results. Resurfacing skin promotes better product penetration, so using ReVive serums and creams directly after treatment will ensure optimal results.